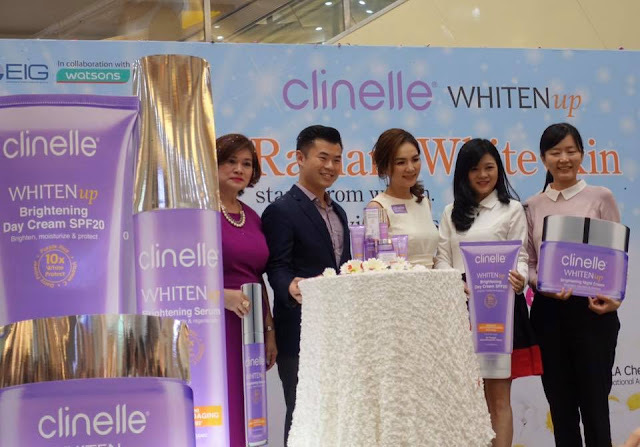 Woo hoo....award-winning and international star Ella Chen was in town recently to officiate the launch of Clinelle's new and improved Clinelle Whitenup Brightening range. 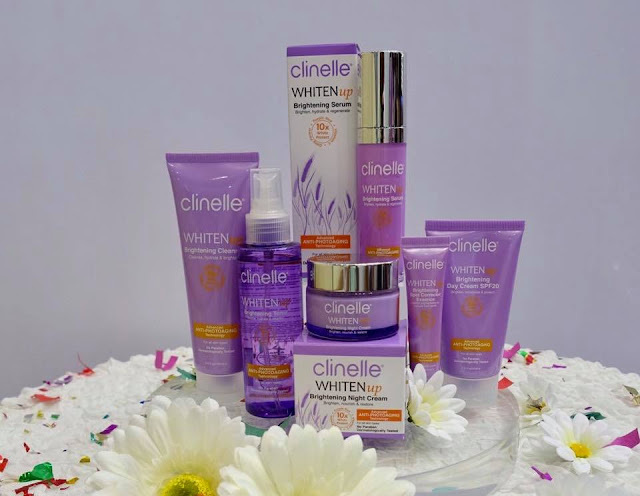 Ella has been a loyal fan of Clinelle skin care said, she love the newly formulated Clinelle Whitenup Brightening range which helps to protect her skin day and night, regardless of being indoors or outdoors. She is totally amazed by how her skin looks glowing, bright and spotless. The New Clinelle Whitenup Brightening Series. The full range of products available includes Whitenup Brightening Cleanser, Whitenup Brightening Toner, Whitenup Brightening Serum, Whitenup Brightening Day Cream SPF20, Whitenup Brightening Spot Corrector Essence and last but not least, Whitenup Brightening Night Cream. Japanese Purple Rice Extracts - Commonly known as 'Forbidden Rice', it was offered as a tribute for the emperor's consumption in the olden days. The precious ingredients enhance the efficacy of Vitamin C to promote fairer, firmer and moisturized skin. Vitamin C - A powerful antioxidant to redefine skin texture and lighten skin tone. The new formulations contains 10X more lightening effect compare to the existing range. Daisy Flower Extracts - To prevent skin darkening and longer lasting brightening results, reduces pigmentations and evens out skin tone. On top of that, the Great Mullein Flowers which provide exceptional benefits for brightening is also added in the formulation for Clinelle Whitenup Night Cream. It is empowered by the cultivation of Great Mullein Flowers with Advanced Anti-Photoaging Technology to protect the skin from harmful UV rays while at the same time transform them into a beneficial light source for youthful glowing skin.